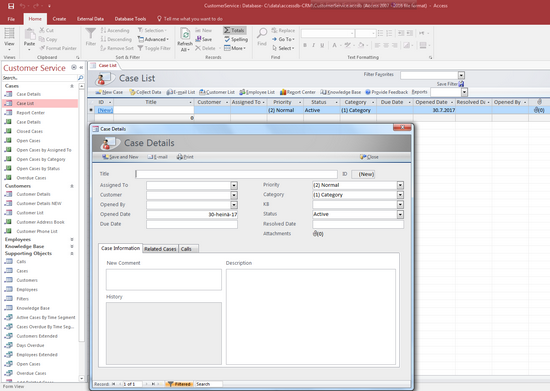 MS Access is included in the MS Office set of tools. I was playing around with it, and discovered that it comes with several build-in templates for different tasks. One of the interesting template is “Customer service” template, that was close to what I have been looking for. The figure below shows how the original template Customer Service looks like. 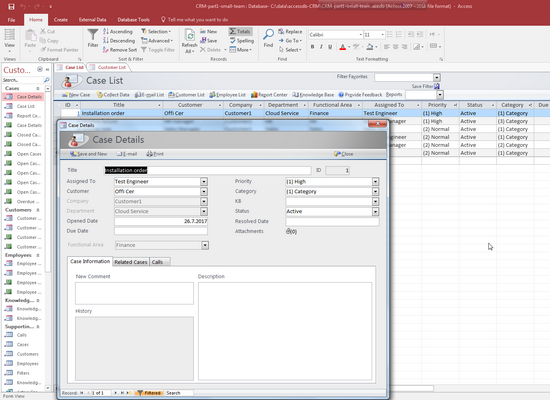 Even though the interface looks very technical, it is straight forward to use and one can stick into the main view “Case List”. Also it is possible to modify the file, and add additional data and reporting capabilities without any programming. 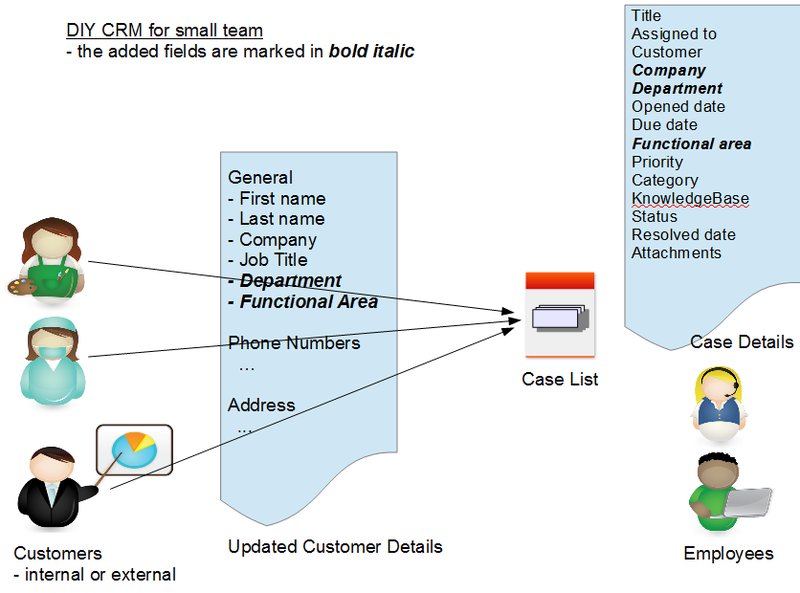 The figure below shows the main concepts and what data fields was added in this DIY CRM. The screenshot below is after the modifications. If you don’t have Access then it is possible to try this out with runtime license. One can add new data, change existing data and delete the data. About the sample data. One can delete lines with “Del” key. However, with runtime version it is not possible to see the all the tables, queries and reports, and therefore one cannot delete the existing “Call” data. Any modifications need to be done in a computer with the normal Access license. 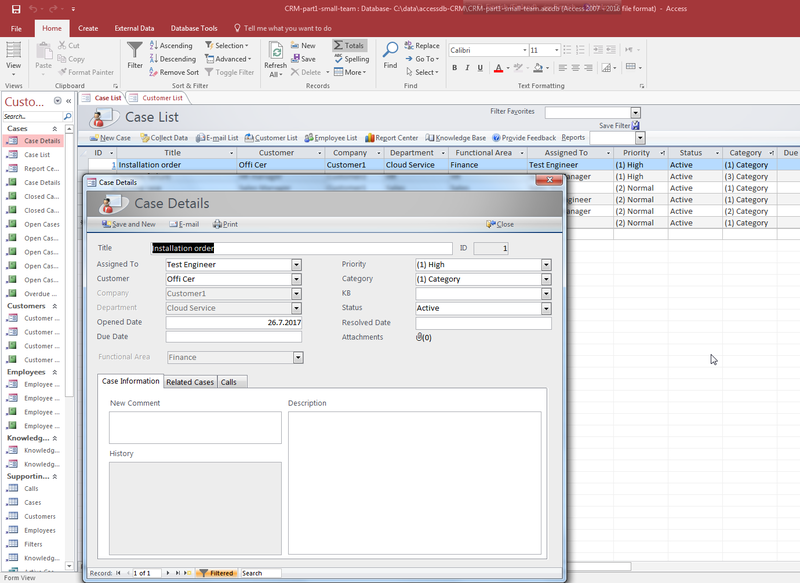 In the part 2, the same access DB is further modified so that it could be used as personal task or time management tool. This entry was posted in Basic Tools, DIY, ICT Leadership and Management, Tests, Tips, Tools. Bookmark the permalink.